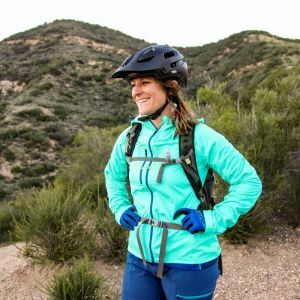 For mountain bikers, this fit allows ample movement and easily allows you to wear pads and body protection for demanding terrain. 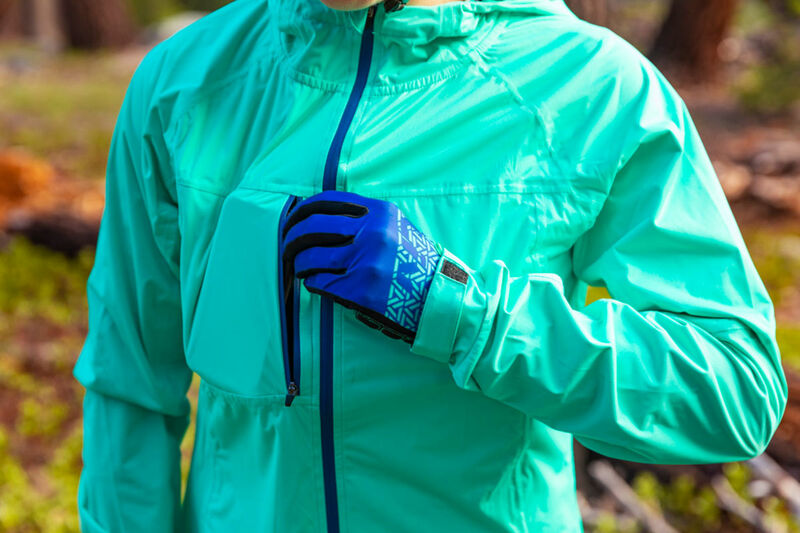 Lightweight, breathable and waterproof fabric to handle anything Mother Nature throws your way. 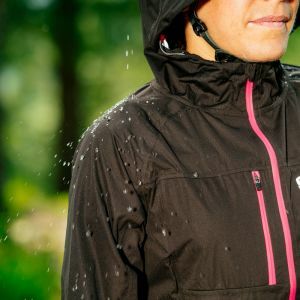 With a long back panel, this jacket will cover your rear - literally - keeping mud and water out! 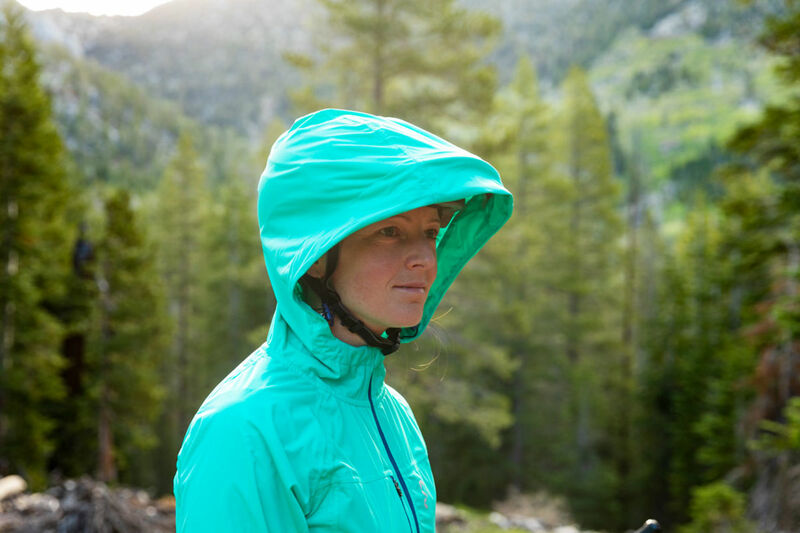 10,000mm H20 rating will keep you dry no matter what the weather. 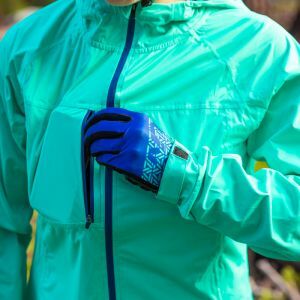 10,000 gm/m2/24hr rating, which means - no dreaded garbage-bag jacket effect! 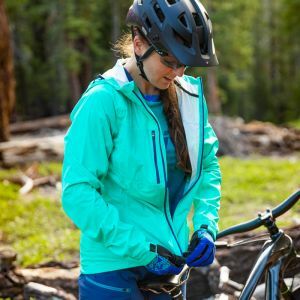 Cinch the bottom of this jacket tight, so it stays in place as you pedal. 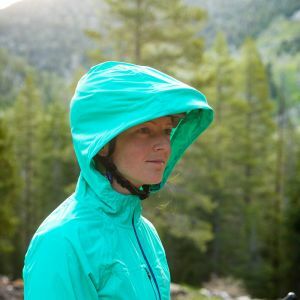 Energize Jacket's large hood will actually fit over your helmet and hook onto the visor, providing secure protection from the elements. 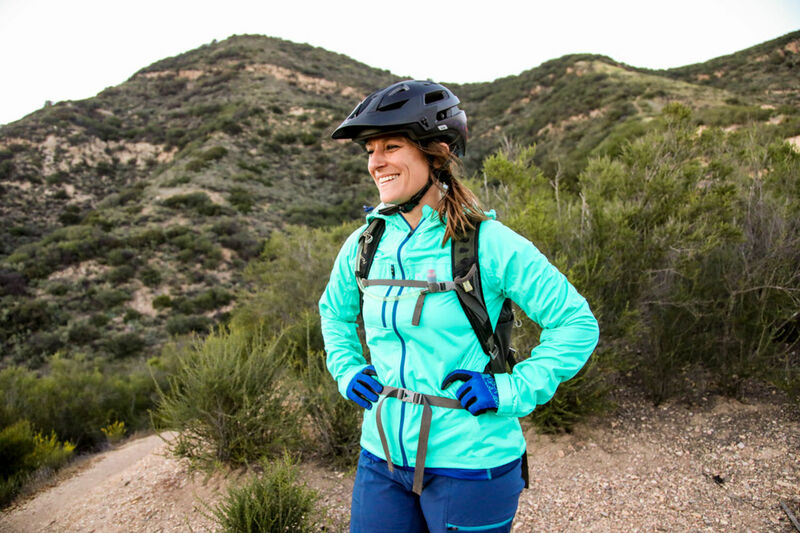 Reflective accents keep you safe as you are getting to or coming back from the trails in low-light or foggy conditions. 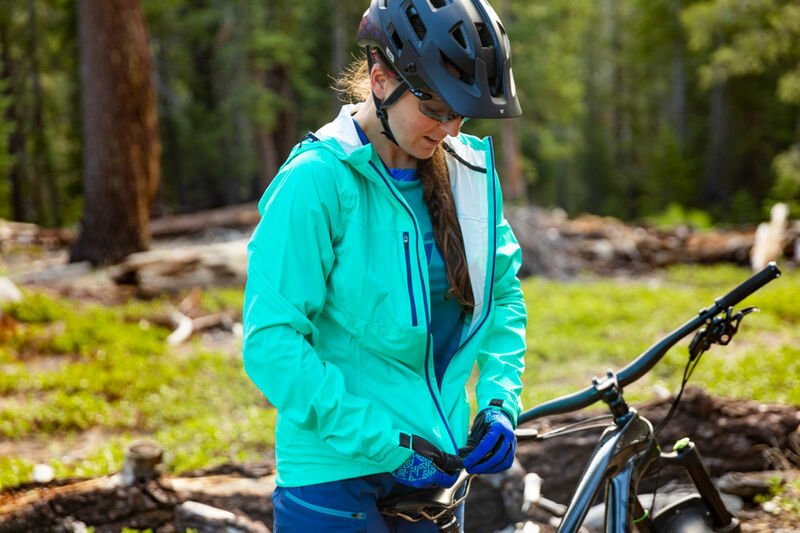 If the sun does shine, you won't get burned through this jacket, with SPF 50 built right in. 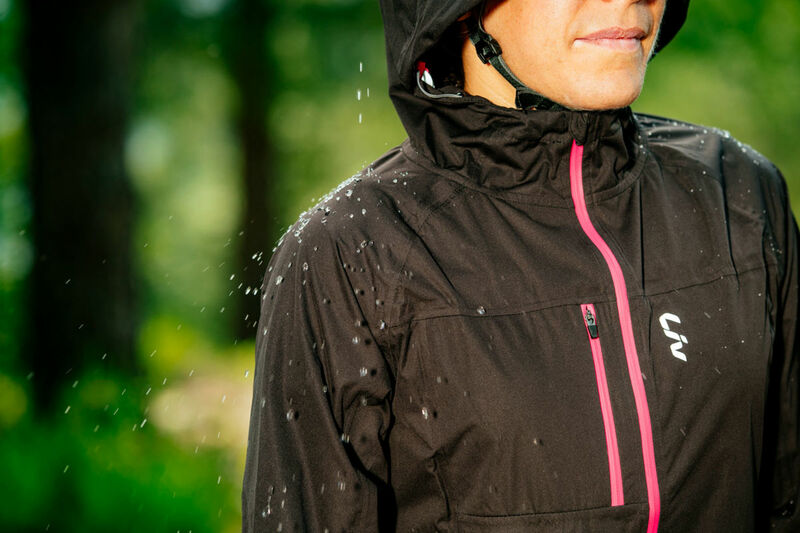 Covered ventilation design on the back adds breathability while still keeping you dry. A wide range of sizes are available to offer the perfect fit, availability varies by country.